Each year THE VOICE OF A WOMAN presents a bold and innovative program featuring and acknowledging the works of creative women globally. THE VOICE OF A WOMAN FESTIVAL & TALKS (VOW) is featured each year in New York, as well as its traveling series to various cities, providing a platform for creative leaders to share their works and their perspectives on our world. THE VOICE OF A WOMAN uses the power of film and the arts as a window in to the authentic 'voices'​ - experiences, points of view and expressions of women globally. To date THE VOICE OF A WOMAN AWARDS recipients include: Ming Smith (Fine Art Photographer), Chloe Sevigny (Actress), Shirin Neshat (Artist), Grace Jones (Performance Art), Kim Longinotto (Director), Deeyah Khan (Director), Thandie Newton (Actor), Sylvia Syms OBE (Actor), Sarah Gavron (Director), Zoe Wanamaker CBE (Actor), Darnell Martin (Director), Alison Owen (Producer), Dr. Scilla Elworthy (Peace Activist) and others. 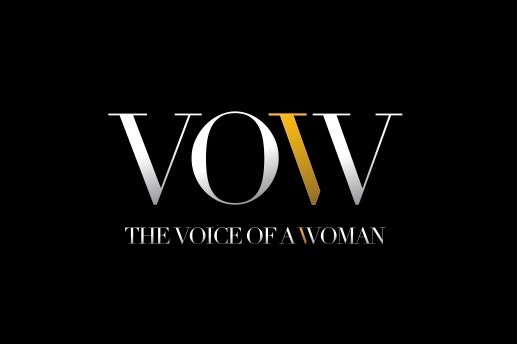 THE VOICE OF A WOMAN TALKS | VOW TALKS is a series of live talk events, articles, film and audio recorded conversations featuring some of the most visionary women in our world today, sharing their works, imagination and perspectives. NINA MENKES, THANDIE NEWTON, NAOMIE HARRIS OBE, SHIRIN NESHAT, DEEYAH KHAN, KIM LONGINOTTO, SARAH GAVRON, GERMAINE GREER, DARNELL MARTIN, SYLVIA SYMS OBE, ZOE WANNAMAKER CBE, GRACE JONES, DR. SCILLA ELWORTHY and others. VOW'S Youth Leadership & Social Responsibility Projects (YLSR Projects) have delivered mentoring and training, in to schools, universities and communities. VOW has partnered with UNICEF, UN WOMEN, Amnesty International and other NGO's using the power of film to educate and build greater awareness of social concerns.